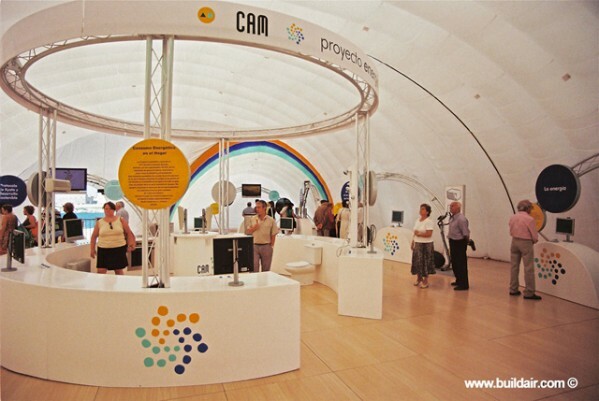 The pavilion of the CAM (Caja Ahorros del Mediterraneo) was traveling through various Spanish cities. 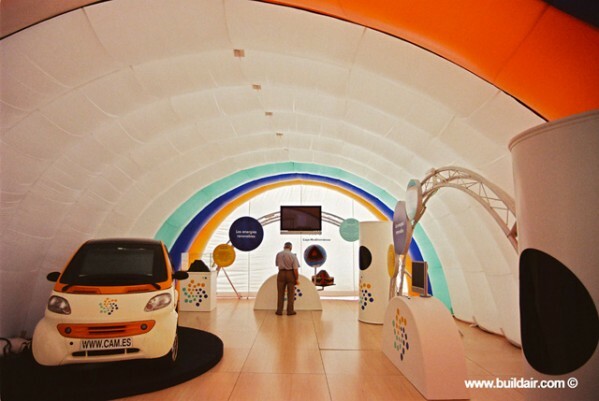 The inflatable building has been developed in 4 separate modules to be used grouped or individually and that facilitate the setting up and transportation of the exhibition. The event will last around 3 months per city and will receive school and general public visits that will be informed about the use of new and renewable energies. 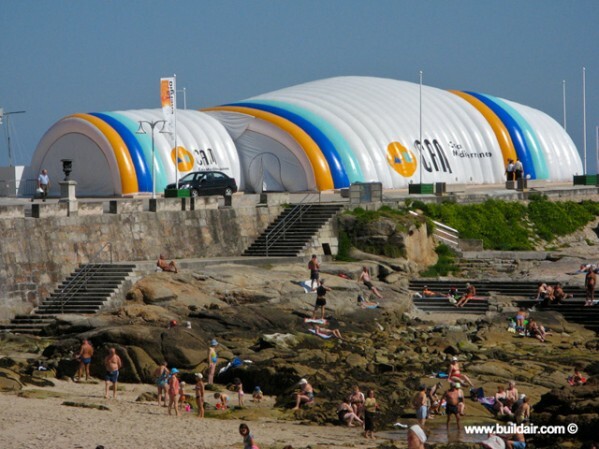 The exhibition will start in A Coruña and will travel to Madrid, Sevilla and other Spanish cities with the easy transportation of a light air inflatable structure.